Thinking about adding web notifications to your marketing mix? 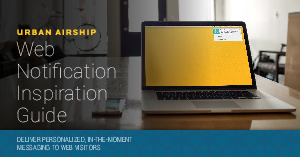 See how web notifications can help you can deepen connections and engagement with your web visitors. Get the guide today.